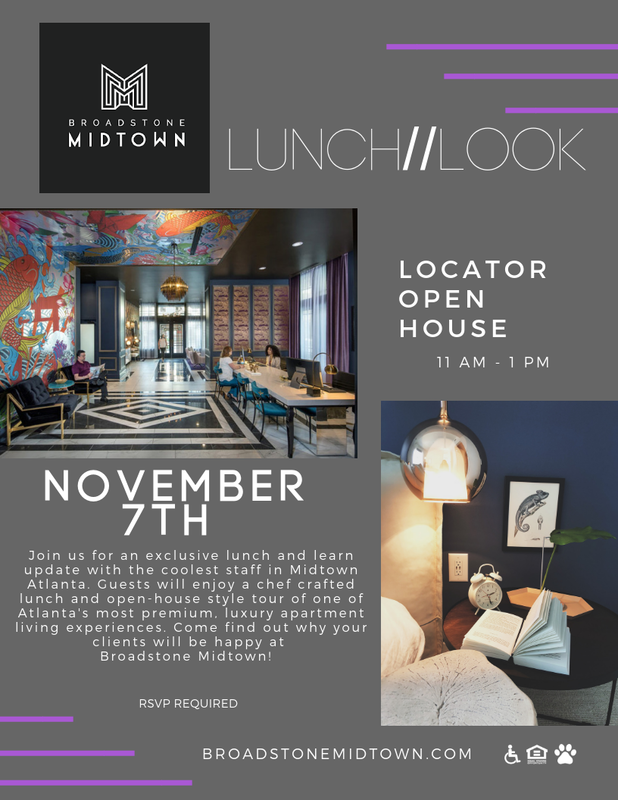 Join us for an exclusive lunch and learn update with the coolest staff in Midtown Atlanta. Guests will enjoy a chef crafted wine lunch and an open-house style tour of one of Atlanta's most premium, luxury apartment living experiences. Come find out why your clients will be happy at Broadstone Midtown! Come learn more about our locator partnership program and the latest on our promotions. Be sure to share the e-vite on Instagram and tag @communalgroup and @broadmidtown!.